A prænomen, as well as a family name, which first appeared in the Middle Ages and which is still in use. In Russia it is pronounced "Vigder." It is supposed to be the Biblical ("Father of Gedor"; I Chron. iv. 18); though some scholars have connected it with the Latin "Victor." The reason for the frequent use of the name is that, according to the passage in Chronicles, "Abigdor" was one of the appellations of Moses (see Lev. R. in the beginning of the first chapter). 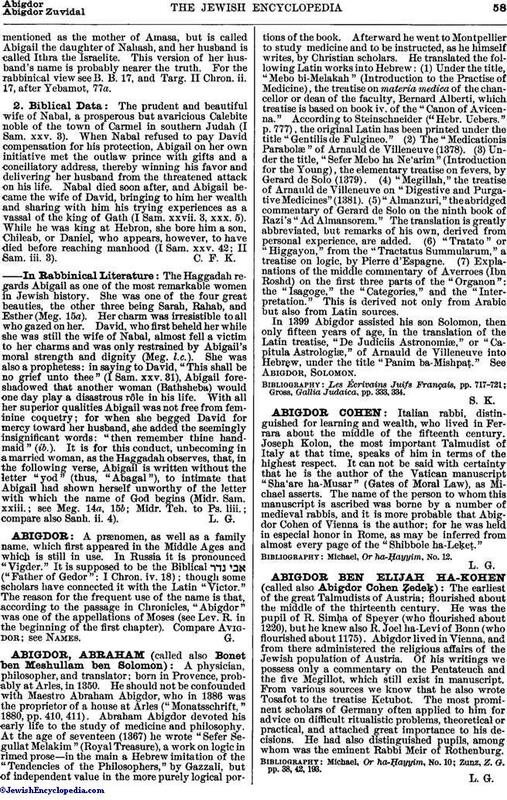 Compare Avigdor; see Names.